A spokesman justified the actions of the Russian President. Press Secretary of the President Dmitry Peskov told why Vladimir Putin did not come out to protesters in Kemerovo after the tragedy at the Mall “Winter cherry”. “Everything is quite simple: a crowd of people, a few thousand people, shouting. You know that Putin is very specific, pragmatic President. That is, if he is asked a question, he responds and tries to understand the essence, in order to give some kind of promise. Not empty promises, he is very far from populism,” – said Peskov. Peskov said that “the crowd of several thousand people to speak in the style of Putin is impossible”. 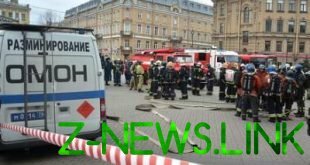 Recall, the investigators of SK of the Russian Federation, which are in case of a fire in the Kemerovo shopping centre, “Winter cherry”, found that the fire alarm system worked after the fire. However, she was a disabled employee of a private security company immediately after the signal was received about the fire. On Tuesday, March 27, thousands of people came out to protest in Kemerovo demanding the resignation of local authorities and the truth about the causes of fire in shopping Mall “Winter cherry”.